Woodgreen completes another project for Asda at the George House Office in Lutterworth. 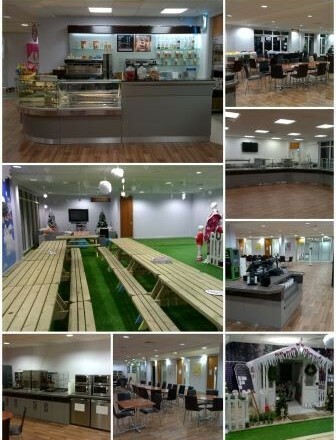 This scheme was a fast track, all-encompassing refurbishment of the existing café area within a live office environment. Existing colleague facilities were upgraded which included new flooring, ceilings, decoration, mechanical, electrical and sprinkler works and including new fixtures and fittings. The restrictive working space and restrictions inside and out of the store, necessitated an attentive approach to the phasing and coordination of the works.